We fight many of the same battles over and over again… Strongholds that seem to never give way. They are frustrating. They are hard on us. We feel as if we’re held captive. Believing in God is rarely more challenging than when we’re shaken by strongholds in our lives. We feel as if we’ve had little success against them, so why even try? We often want to do things in our own timing and we struggle and struggle when we put off what God’s shown us to break through. Deep down, we know what needs to be done – our conscience gives us that gift. Overcoming a stronghold isn’t easy, but it can be done. You *can* do this. The moment you recognize a stronghold, ask for help. 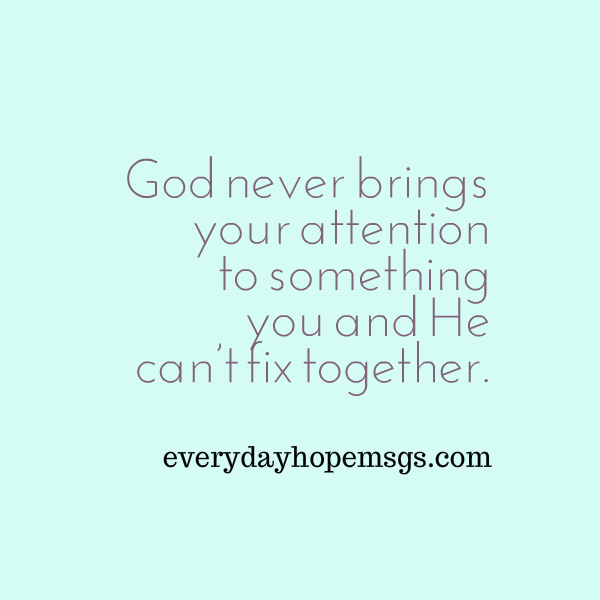 God never brings your attention to something you and He can’t fix together. Look closely at your journey, look closely at your support system, look deep within yourself and you will find what you need to overcome what holds you back. As for help today and slowly, but surely, knock down the walls that are holding you back.